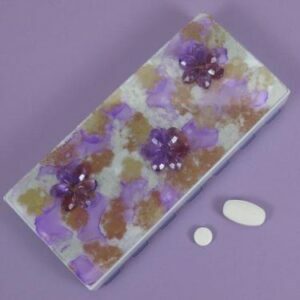 Kristi Lyn Glass’ Medium 14-dose rectangular pillboxes have embellished decorative stained glass tops glued to a plastic base box. Turn the box over to access its 14 individual compartments. 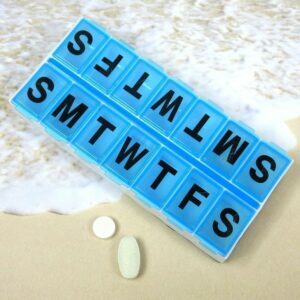 Compartments have separate hinged lids labeled with letters and Braille for the days of the week. Each compartment is .937 x .75 x .687 inch deep (inside measurements). 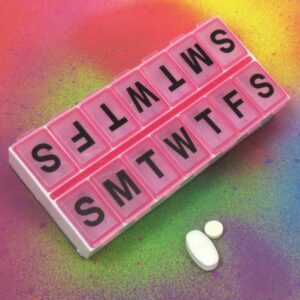 Externally, the box measures 2.5 x 5.125 inches. 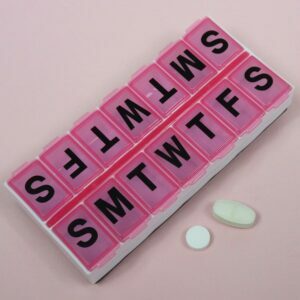 The pill box’s height will vary according to the box’s embelishments. 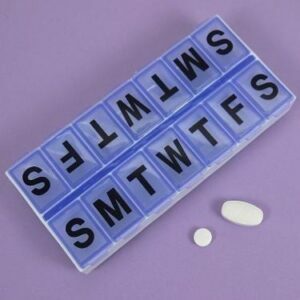 Fourteen-dose pillboxes may be used to contain one dose per day for two weeks or two doses per day for one week. 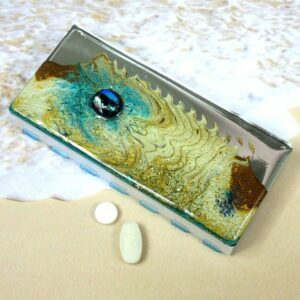 These pillboxes also make terrific jewelry cases.The design of Kristi Lyn Glass’ pill organizers is a PROTECTED DESIGN 2002. Click on any product picture to view details.